In accordance with the Weights and Measures Act, the calibrated counting scale PCE-BM ... C series is mandatory in in trade whenever the counting scale has to determine sizes, quantity, weight, or a price. Due to its functions, the calibrated counting scale is also interesting for trade that does not require calibration. For example the calibrated counting scale can weigh the unit weight by weighing all the products or by entering the unit weight using the numeric keypad. By repeated weighing, the calibrated counting scale achieves a small margin of error. The calculated values are shown conveniently in the three displays. 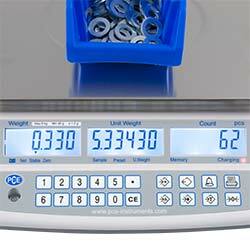 Total weight, unit weight and the number of items can clearly be read from the display of the counting scales. 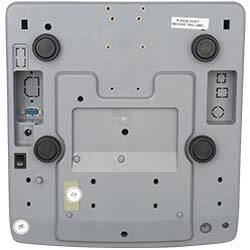 The RS-232 interface allows the counting scale to be hooked up to a PC or printer. 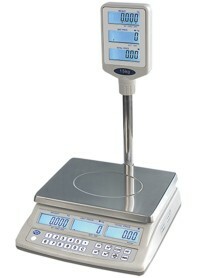 If you do not need a calibrated counting scale, we also have non-calibrated scales. If you have any questions regarding the counting scale, please take a look at the following technical data or call us: UK customers +44(0) 23 809 870 30 / US customers +1-410-387-7703. 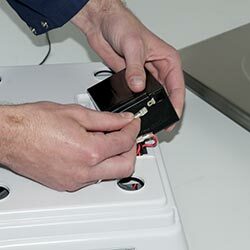 Our technicians and engineers will be pleased to inform you concerning the counting scale or any other product in terms of regulation and control or scales and balances of PCE Instruments. The counting scale of the PCE-BM ... C Series is especially designed for the counting of units. The three displays of the counting scale and the numeric keypad allow a fast and simple operation of the counting scale. 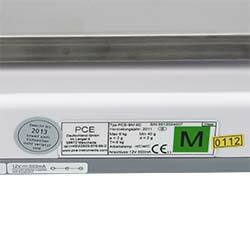 The counting scale of the PCE-BM series is available in two versions. 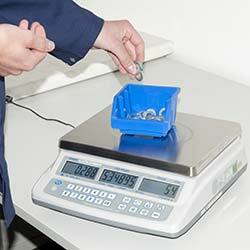 The PCE-BM 6C is a counting scale with a weighing range of up to 6 kg and a verification scale interval of 2 g. PCE BM-30C is a counting scale with a weighing range of up to 30 kg. The calibration value of this model is 10 g of the verification scale and the resolution is identical to the counting scale. The resolution of a counting scale says something about the division of steps, while the calibration value of a counting scale says something about the checked (calibrated) accuracy. The unit weight of a counting scale says something about the smallest possible weight which can be used for counting. For companies that wish to include this counting scale calibrated test equipment in their company’s inspection equipment pool. The calibration is carried out in our partner inspection laboratories which are certified according to DIN 17025. These weights are used solely for internal recalibration and checking the accuracy of the counting scale. 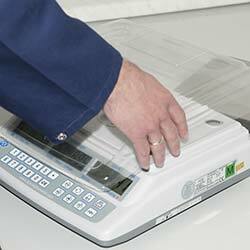 Also known as unit counting scale, counting scales are primarily used in inventories. Since this scale is delivered calibrated, the counting can be used for price determination in trade. Therefore, an alternative to this counting scale is the retail scale of the PCE-P series BM. This scale with customer display shows you and your clients to the determined price. The scale has no counting function. You can see this alternative to the counting scale in the picture on the right. 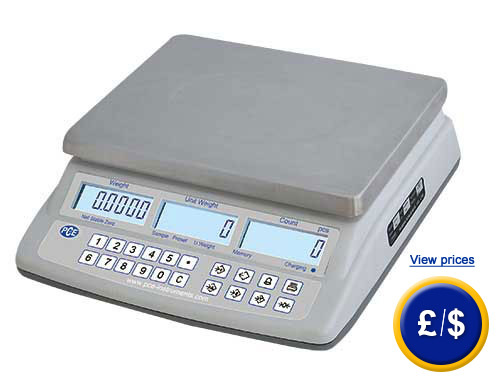 More offers from the range of retail scales of PCE Instruments can be found under the following link: Retail Scales.